All the profits we make go back into the local community. We received a letter requesting help for Curling equipment for the residents of Weavers Court. Ex Chairman Gary Brown took down the cheque and had a go with some of the residents! The money we donated allowed the residents to continue to play a sport they love doing, despite the local funding being stopped. Over the last two years, we have made significant donations to the Evie Campbell Fund, helping her though her difficult journey. This year we donated to Alnwick Hockey Club to help their junior's buy equipment. The Hockey Club Girls came along and helped shake buckets on Fireworks night this year! 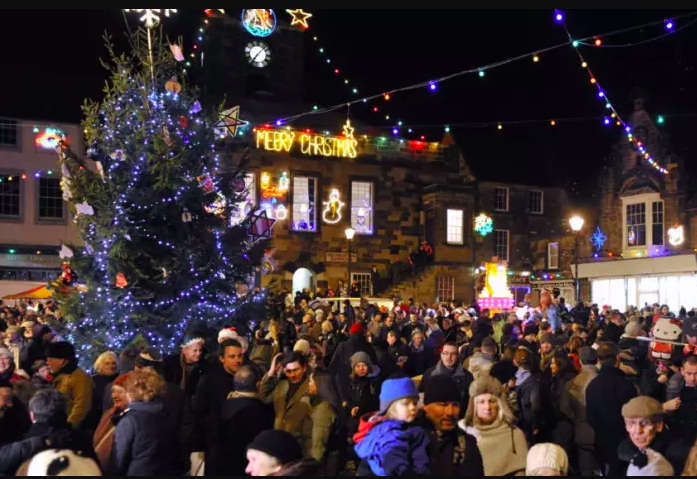 We support Alnwick Christmas lights, to help keep the town looking festive during November and December. 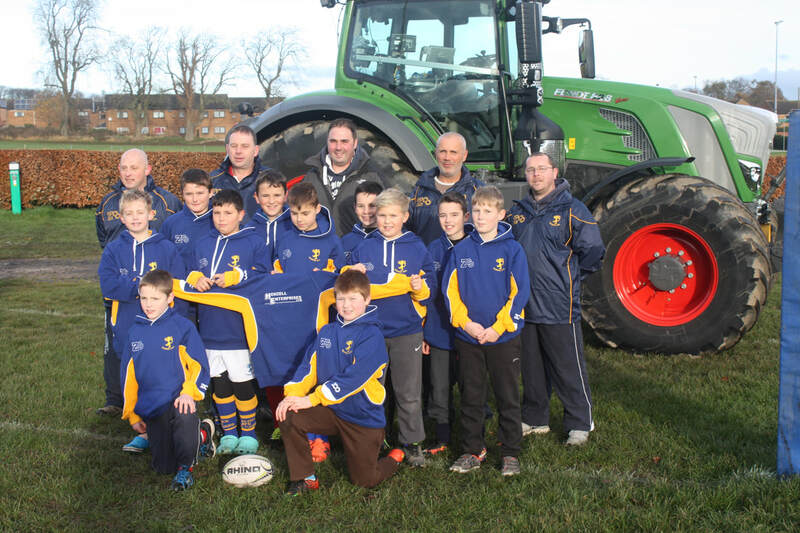 This year we supported ARFC under 13 juniors. The donation will go towards the cost of taking the team on a rugby tour to the borders at the end of March. They will be staying near Peebles and playing a team from Biggar plus another. We have donated money to the Northumberland Hedgehog Rescue Trust to support them with their work. They are a local charity, nearby in Longframlington. Rebecca has Rett Syndrome, a rare neurodevelopmental disorder that affects females almost exclusively. With Rett Syndrome, you think everything is ok and that your child is developing normally. Then at around 18months of age, a sudden and devastating regression of skills occurs. This has meant that Rebecca has profound and multiple physical and communication disabilities and will be totally reliant on others for support throughout her life. Amongst other things, Rett Syndrome causes epilepsy, curvature of the spine, breathing and eating problems. The syndrome causes great difficulty with walking and making fine movements such as pincer grip. As the syndrome progressed, Rebecca’s purposeful use of her hands was replaced by purposeless, repetitive hand movements. The inability to perform motor functions is perhaps the most severely disabling feature of Rett syndrome, interfering with every body movement, including eye gaze and speech. Rebecca will never speak. She communicates in the main by finger pointing and eye gaze. However, Rebecca knows and understands much more than her body allows her to show - but they are locked in, trapped by a body that cannot obey signals from her brain. The majority of people take speech and communication for granted. Rebecca needs the eye gaze, just to start these little conversations and to tell us what she is really thinking. 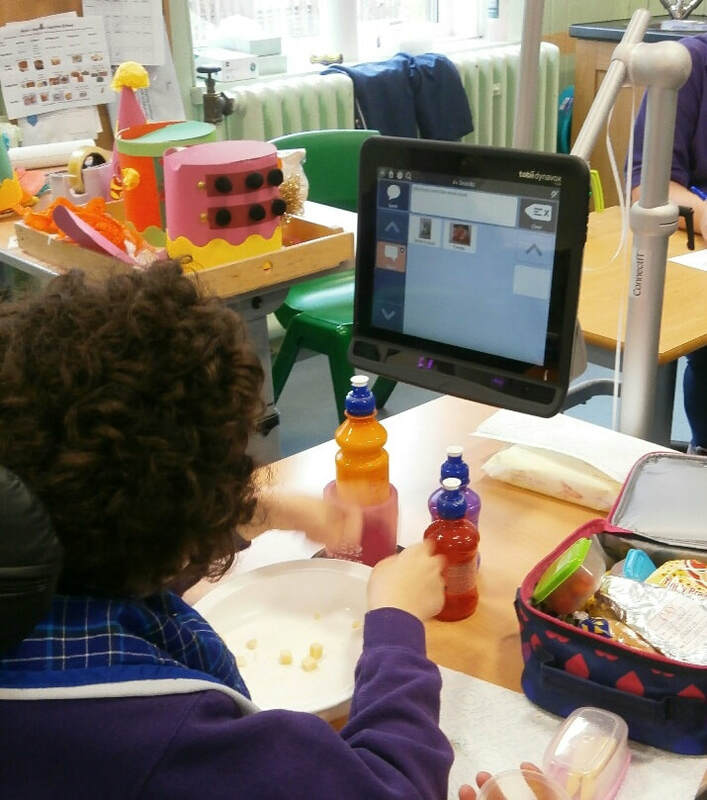 With the help of Alnwick Round Table, The Pullen Family are one step closer to raising the £8500 needed to get a life long loan of the EyeGaze computer enabling Rebbeca to communicate better. We have done this alongside the specialist knowlege of The Sequal Trust, who specialises in this equipment. We have donated to HippoTherapy Northumberland to support two local families through 6 sessions each of HippoTherapy. It makes accessible a 'sport type' opportunity for physical, social, emotional development and enjoyment especially in children with disabilities. - breaking down barriers of isolation; encouraging communication and raising self esteem both in 'ability' and 'identity'. It brings Being Understood, Accepted and Valued - both in human and equine relationships offered. Therapeutic riding is introduced to children with complex needs using Hippotherapy to enable them to access this mode of input. It uses stables with horses, assessed by a physiotherapist qualified in hippotherapy; requires a wheelchair-accessible mounting block ; indoor schooling area and specialist equipment, and a hippotherapy certified therapist to deliver the input.